I finally got a chance to make some earrings using the new tools I got from the orthodontist. The tool that I tried out is called a distal end cutter. It is interesting that when I look up the tool, it mentions how it can cut the wire and hold the end piece, but it does not mention how it flattens the small end of the wire before the cut. You can see in the first picture how it forms a 'paddle' on the end - very similar to one that you might achieve by hammering the wire end. 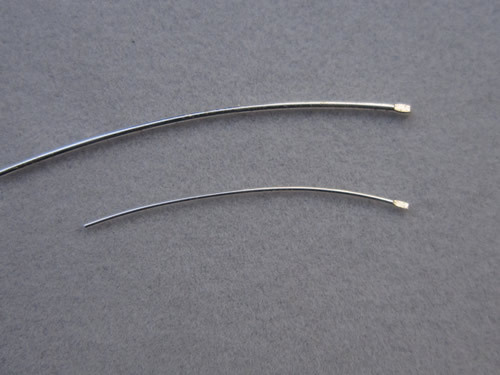 The difference is that by using the distal end cutter, it takes about two seconds (literally) and is as simple as cutting a wire with normal clippers. I decided to try and make a simple pair of pearl earrings using wires finished with the distal end cutters. 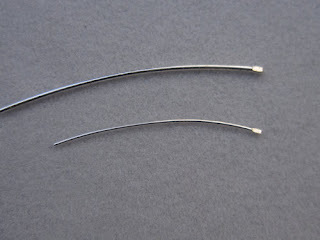 I cut two pieces of wire about two inches long using the distal end cutters. That resulted in a finished paddle end on one side. 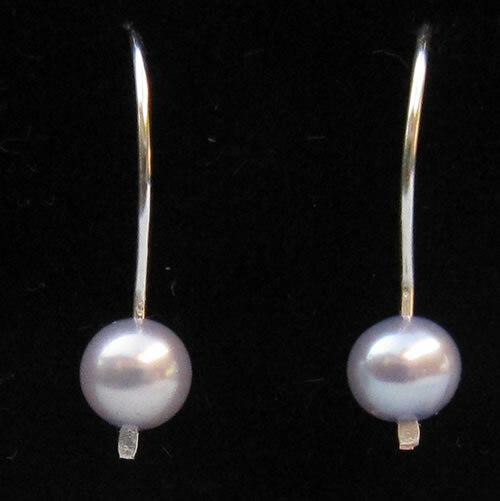 I used pearls that just fit on the wire which was 24g. I bent the wire just above the pearl to limit their ability to slide around. Finally, I used a marker to create the loop of the ear wire. 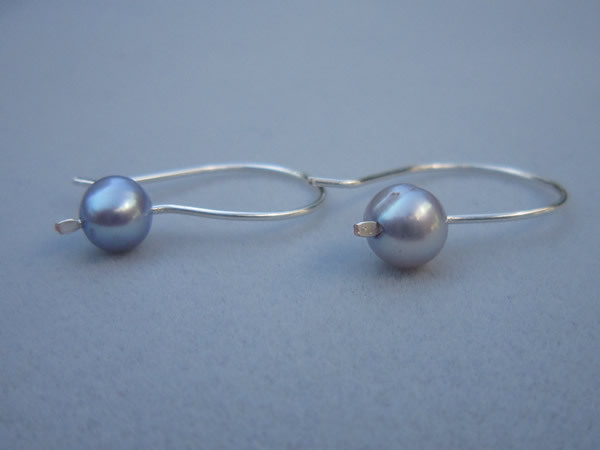 The result is a fabulous, albeit simple, pair of earrings in less than 5 minutes! One other thing to note is that I used 'German Silver Style' wire by Beadalon. It has a copper core - which is not at all evident in the finished earrings. just saw your post on WWJ and came here to look -- wow. I gotta get me one of those! Awesome! Such a wonderful shortcut! Love it when a find such as this comes our way! TY Much 4 sharing! I can't imagine asking my dentist for any old tools! I do like that neat tool that puts a little paddle on the end of the wire though! Second give away is up you are welcome to come on over. WOW! What a find. Let us know what the dentist has for you. Love your designs. Do you share with your friends for free jewelry advertisement? I'm interested. BTW my birthday is in September. What IS a distal cutter? I've never heard of that. 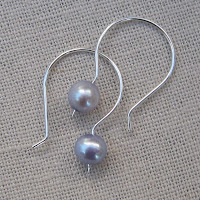 I really love these earrings, simple and elegant. Gorgeous!